Disney World announced Epcot’s International Festival of the Arts will debut January 18. The annual celebration of the visual, culinary and performing arts will last for 39 days through February 25, 2019, and features more live music than ever, fresh tastes to savor and new artwork to admire and bring home. The Disney on Broadway Concert Series is expanding to seven days a week during the festival and will feature different pairs of stars each week that will take the stage at the America Gardens Theatre to sing everyone’s favorite Disney songs. Epcot’s International Festival of the Arts lineup will rotate regularly, featuring music from shows such as The Lion King, Frozen and Beauty and the Beast. Artists performing in 2019 include Kerry Butler, Kevin Massey, Meredith Inglesby, Steve Blanchard and more. For travelers heading to Disney World, the concert series is included with park admission and showtimes are 5:30, 6:45 and 8 p.m. local time each night. The Disney on Broadway Concert Series Dining Package is also available at participating Epcot restaurants and guarantees show seating. 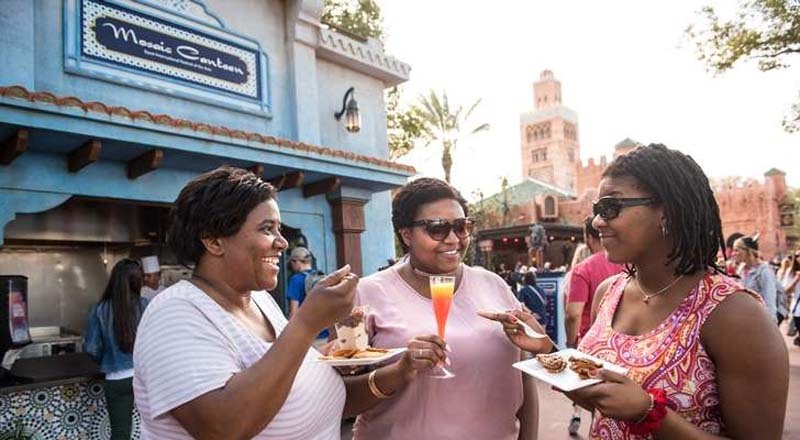 In addition to the concert series, the Epcot International Festival of the Arts will feature 13 Food Studios, including The Artist’s Table, The Painter’s Palate, Pop Eats!, Cuisine Classique and more. As for guests visiting Disney to witness artists sharing their work—or even purchase art for themselves—there are events to satisfy everyone, including a group mural painting session at World Showcase Plaza, the Paint with a Disney Artist program, professional workshops, seminars, artist meet-and-greets, performances and international musical and variety acts.